The Star Wars franchise is among the most recognizable brands on earth, withDarth Vader at the helm. 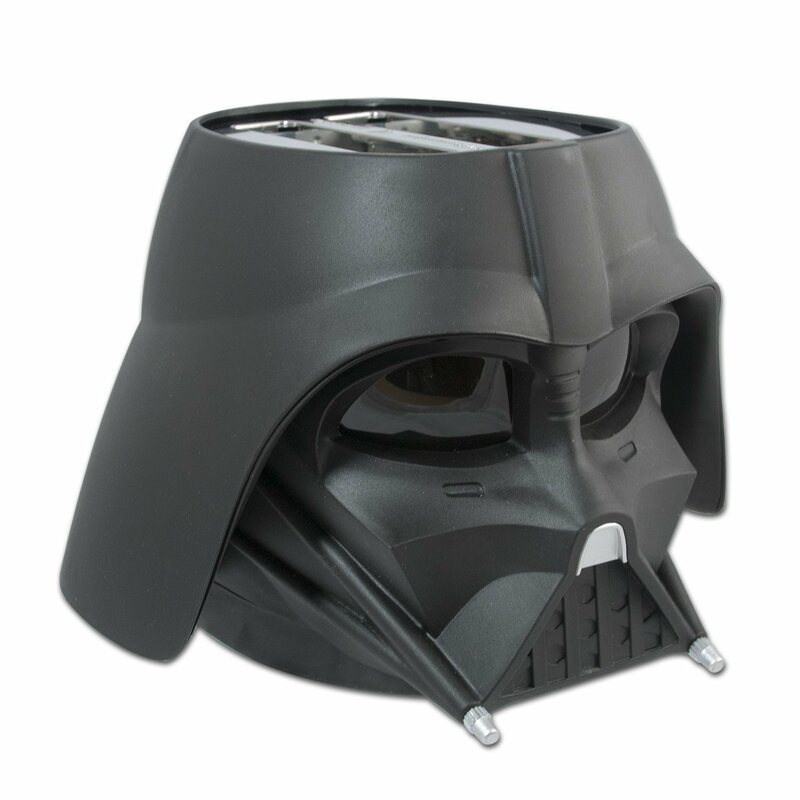 Molded in sturdy black plastic and meticulouslydetailed, the Darth Vader Toaster will make a striking addition to any kitchencounter. Pop in two pieces of bread, frozen pancakes, hamburger buns orEnglish muffins, and in moments Vader ejects them with the Star Wars logotoasted right on them. Like your toast on the darker side? A handy dialprovides temperature adjustment. Measuring a hefty 12" X 10.7" X 8.4" andweighing in at 4.1 lbs. of mystery and menace, the imposing presence of DarthVader will help eaters start their day feeling ready to take over the planet,and anything else that might get in their way.